Jane Hetherington is Nina Jon’s gifted amateur detective. A retired lady who sets up her own private detective agency following the death of her husband of four decades. She spends each month from then on, investigating interwoven & seemingly unconnected crimes & mysteries. 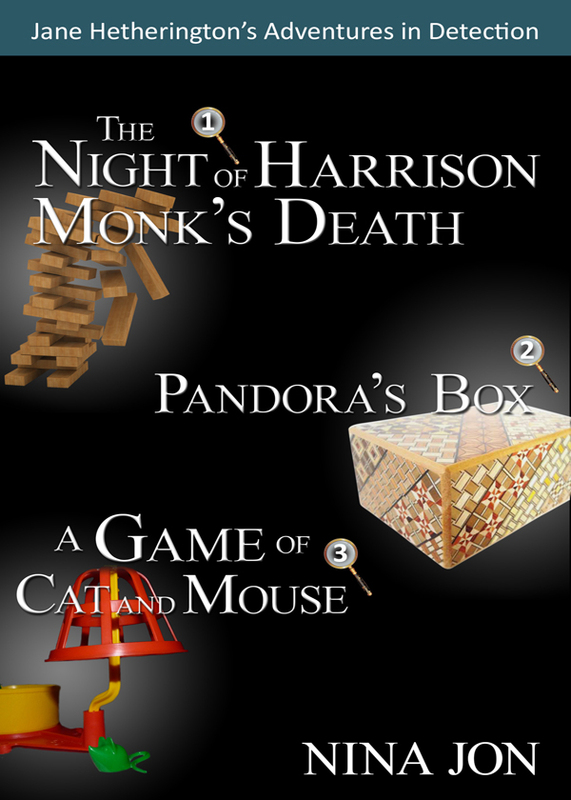 In classic whodunnit style, the emphasis is on the puzzle and the solution. Need to identify a strangely generous safe breaker? Locate a boyfriend gone walkabout? Lost a family heirloom and have to find it in a hurry? Want to establish if a loved one’s telling the truth? Check out whether the other half’s story stacks up? Need to find a missing neighbour or discover how a body ended up at the bottom of a multi-storey car park? Need to stop your home being demolished by an officious bureaucrat? Surreptitiously raise money in a hurry? Delve a little deeper into a spouse’s frequent absences? Identify a poison pen-pal? Keep a secret, a secret? Need to catch a conman real quick? Discover why a sister has become a stranger? Pick up a trail long gone cold? Catch an artful dodger red-handed? Make amends? You can purchase the book online from Smashwords in multiple eBook formats at http://www.smashwords.com/books/view/351921.